Tensing your muscles is a normal response to stress and heightened emotions, such as anger, nerves, or frustration. You may also get into the habit of holding certain sets of muscles in a tense, fixed position when performing basic everyday actions, such as moving around or sitting on your desk. This tension, however, is a major cause of neck and back pain. Poor posture, injury, overexertion, differences in leg length, and conditions such as scoliosis can all cause you to tense specific sets of muscles, as the muscle compensate for any difficulties these problems create. Stress and emotional pressures are the main triggers for over-tense muscles, but difficulty sleeping or poor nutrition can also cause an increase in muscular tension. Holding your muscles for any length of time in a tense, contracted position limits blood flow to your muscles and restricts the supplies of nutrients and oxygen that they need to work properly. Poor blood also allows toxins to build up in your muscle tissues. All this can lead to pain and muscle spasms, which in turn put strain on the joints and ligaments so that they too become tender and sore. Pain from excess muscle tension may start with dull ache, but can become extremely painful. 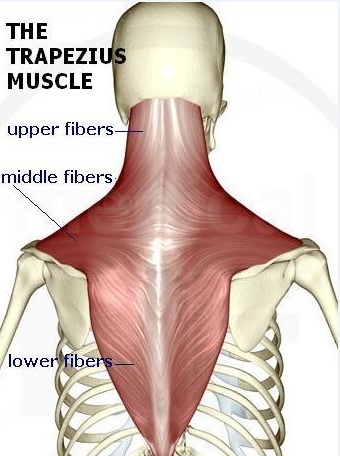 Muscles that are regularly held in a contracted and tense position for extended periods of time may also develops “knots”, or “trigger points”. These are particularly tender areas that are easily irritated, sending waves of pain out to other, often distant, parts of your body. Your doctor will make a diagnosis by performing a physical examination. You should always check that the pain is due solely to chronic muscular tension, rather than any illness or physical problem. If you hold your muscles in a tight, tense state for a very long time, they can become permanent shortened and stop functioning properly. Call +65 64712674 for an appointment to treat Muscular Tension today. Same day appointment.